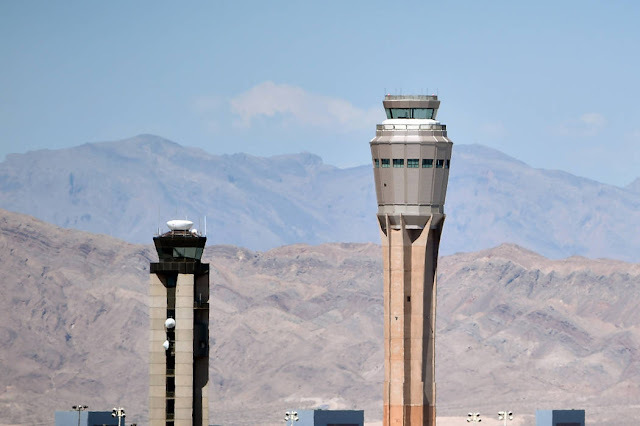 Gusty winds on Thursday halted crews from starting the $1.99 million demolition of the former air traffic control tower at McCarran International Airport, the Federal Aviation Administration said. Work will resume early Friday, when a crane is scheduled to carefully lift a 525-square-foot cab from the top of the tower where controllers previously kept watch over aircraft departing and arriving Las Vegas. Preparation work was scheduled to start Tuesday afternoon, but strong winds kept crews from moving forward. The demolition crew gathered again at 6 a.m. Wednesday to separate the former controller’s can from the top of the tower. The crane’s boom was raised and lowered several times until the project was called off around noon. The old control tower, built in 1983, was closed last August to make way for a new $99 million tower standing 352 feet tall. Crews started scraping the inside of the old tower in March. Once the cab is lifted, the tower’s exterior will be carefully torn down, piece-by-piece, through August. 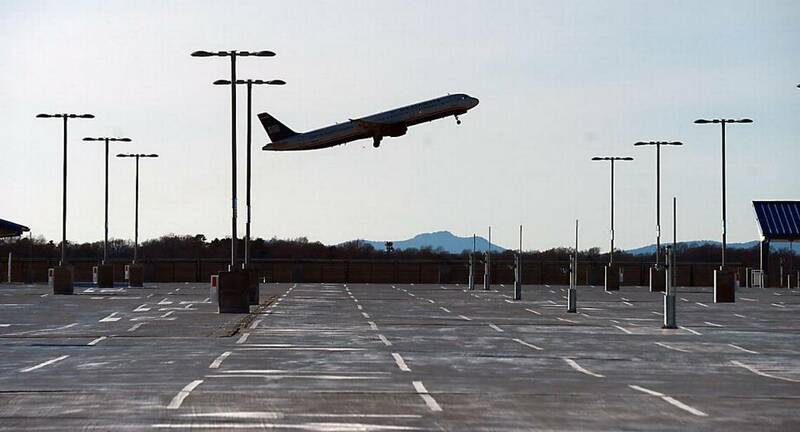 After construction clears, the tower’s 13,740-square-foot base building will be converted into office space for Clark County’s Department of Aviation, airport officials said. The cramped single-engine propeller plane shuddered in the hot San Fernando Valley winds as we made our approach toward the runway. Our Cessna 172 Skyhawk made a rough one-hop skip on the runway at Whiteman Airport before touching down and coming to a crawl 2,000 feet later. We taxied over to hangar M7 so the next crop of excited attendees of Glendale’s aviation program open house event could get their own flight-induced adrenaline rush. Open house attendees piling into one of Glendale's Cessna 172s. This one, piloted by Edwin Sahakian, was giving flight tours around Pacoima. The GCC aviation department open house was held on May 21 as a way to showcase to the Glendale community what the flight program is all about. Our plane only flew three quick “patterns,” essentially a medium-sized loop around the airport with its own take-off and landing sequences, but it was enough to get a feel of what flying is like — which is exactly what was planned. Hooked, and hopefully into the aviation program at Glendale, which is always looking for promising new recruits. GCC’s 88-year-old aviation department offers two programs: pilot training and the flight attendant and travel career program. The flight attendant and travel career program prepares students to become a flight attendant in the airline, corporate and travel industry, offering courses dealing with airline reservation systems to travel safety and first aid. The pilot training program is the more popular of the two. It is a four-semester program that offers a combination of ground classes and flight labs to get students ready for their private pilot or commercial aviation license. The array of classes offered includes meteorology, navigation, aircraft structure and aerodynamics, radio procedures and flight regulations as well as many others. 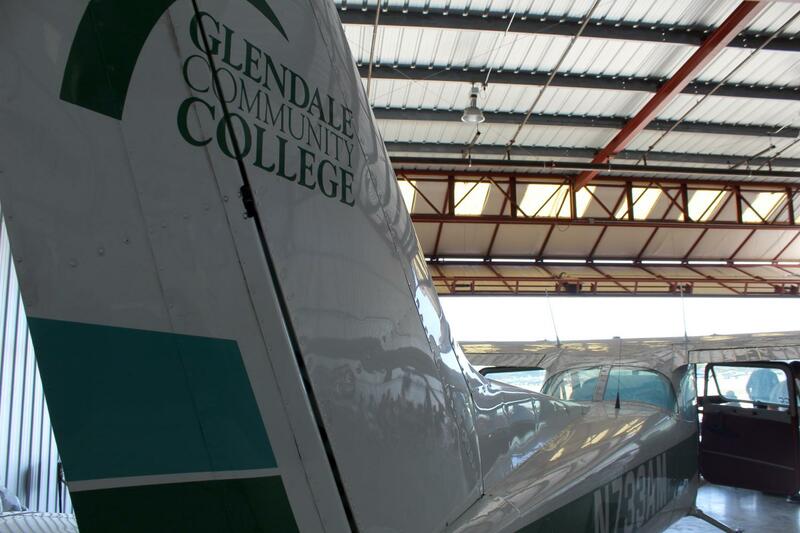 Glendale’s lab portion is held at Whiteman Airport, an inconspicuous landing strip 17 miles west of Glendale’s campus in Pacoima, where students can log some real-world hours in college-owned aircraft. “Whiteman [Airport] is perfect, there’s hardly any other air traffic to deal with, which makes it ideal for training,” Krueger said. A low-pressure environment for student pilots, the airport also has its own air traffic control tower, giving students valuable experience with proper take-off and landing protocol. To the north you have Santa Clarita, which, according to Krueger, is perfect for practicing “stalls.” To the west you will find Van Nuys airport, a much busier hub of airplane traffic, which offers an additional dimension for aspiring pilots. About 150 to 200 people participate in the program currently, according to Robert Newman, another flight instructor who has about 30 years experience flying. He said most of the students decide to go fly commercially once they graduate. The program is equipped with an on-campus FAA-certified flight simulator, three Cessna 172 Skyhawks, its own airport hangar to house the training planes, and a handful of flight instructors with thousands of flight hours logged between them. “It’s a very great program with instructors that know what they’re doing” said Harry Artsvelian, who attained his own private pilot license in 2013 through the aviation program and now flies out of El Monte airport with a private flight club. Mr. Artsvelian may have undersold just how good these instructors at Glendale are. The combined résumé of the program depth chart rivals the best of them. Among the staff, you have: a retired police helicopter pilot, a former airline pilot, a retired U.S. Customs pilot, an international private charter pilot and another who is licensed to fly most Boeing airliners. All of this instructional talent at a fraction of the normal cost, too. “The Glendale program is probably the cheapest in Southern California,” Kruger said. “You can easily save thousands of dollars by going through here.” The cost of GCC’s program is $8,000 while most private programs will charge you anywhere from $10,000 to $12,000. The website Pilot-Colleges, which ranks college flight programs on a number of categories, places Glendale’s program at No. 7 in the state of California and 97 nationally. That ranking is rather impressive, considering most of the schools occupying the list includes major universities with vastly superior program budgets. The price, availability, hands-on experience, and the wealth of knowledge to be cracked open from the passionate instructors makes GCC’s aviation program the hidden gem of the Jewel City. Aircraft was conducting touch and goes when it landed gear up. A Piper Arrow with two people on board landed at Long Island MacArthur Airport with its landing gear “inadvertently up” Thursday, causing damage to the aircraft and the closure of the runway for about an hour but no injuries, an official said. Airport Commissioner Shelley LaRose-Arken said the incident at the Ronkonkoma airport occurred at 1:21 p.m. and that there was no crash or fire involved. 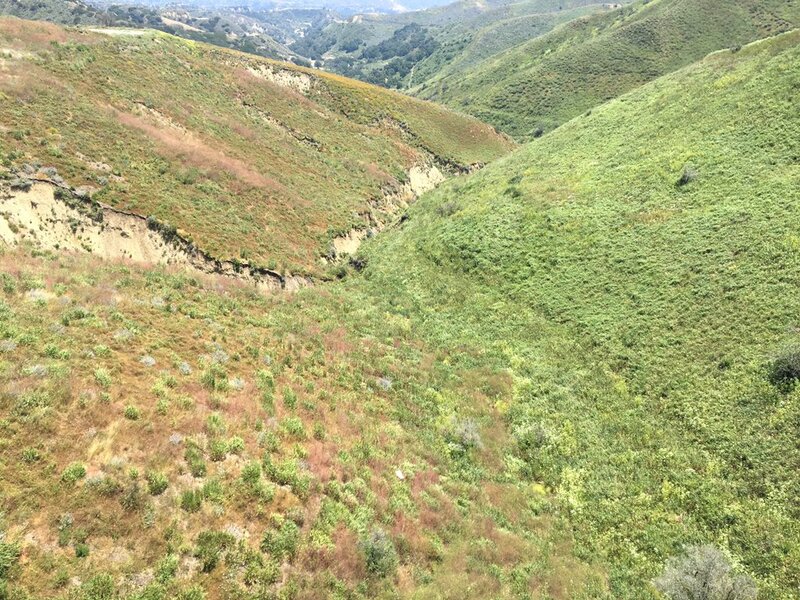 On June 1, 2017, about 1155 Pacific daylight time, a Cessna 180 airplane, N3683C, experienced an in-flight breakup and was destroyed when it impacted terrain about 7 miles west-northwest of Ventura, California. The private pilot was fatally injured. The airplane was registered to the pilot who was operating it as a Title 14 Code of Federal Regulations Part 91, local personal flight. Visual meteorological conditions existed along the flight route, and no flight plan had been filed. The flight departed Santa Paula Airport, Santa Paula, California, about 1110. Several witnesses near the accident site reported hearing a loud sound. Two witnesses stated that before hearing the loud sound, it sounded like the engine was powering up. Another witness stated that after hearing the loud sound, he looked up and saw the airplane spinning towards the ground, and that the engine and both wings had separated from the airplane. He added that, when he first saw the airplane, the tail section was still attached to the main cabin. The pilot held a private pilot certificate with an airplane single-engine land rating. The pilot was issued a Federal Aviation Administration (FAA) third-class airman medical certificate on May 11, 2016, with the limitation that he must wear corrective lenses. The pilot reported on the application for this medical certificate that he had accumulated 1,100 total hours of flight experience and had logged 50 flight hours in the 6 months before the examination. The pilot's logbook was not located during the investigation. The high-wing, fixed gear, all metal airplane, was manufactured in 1954. It was powered by a 230 horsepower Continental O-470-S series engine that drove a two-bladed McCauley 2A34C66-NP constant speed propeller. A review of maintenance logbooks revealed that the airplane's most recent annual inspection was completed on May 14, 2017, at a total time of 4,566.1 hours. In January 2005, the outboard right wing and right elevator were repaired due to damage from a ground event. In November 2016, the horizontal stabilizer was rebuilt, the right elevator repaired, and the pitch trim actuators were replaced with new units. The Airplane Owner's Manual (AOM) listed the maximum load factor as +3.8 g and the minimum load factor as -1.5 g. Additionally, it listed the maximum structural cruising speed as 160 mph (139 knots) and the maneuvering speed (Va) as 122 mph (106 knots). Full flight control application at any speed greater than Va could result in g-loads that exceeded the design limits. The distribution of the airplane's contents throughout the debris field prevented an accurate weight and balance assessment, and the airplane's most recent weight and balance records were not located. Therefore, an estimated weight and balance calculation was conducted. According to the AOM, the airplane had a factory basic weight of 1,520 lbs. The FAA's airman certification system reported that the pilot's weight was 185 lbs. Assuming a total fuel load of 55 gallons, the airplane would have been about several hundred pounds below its maximum gross weight of 2,550 lbs and within CG limits, at the time of the accident. The 1151 weather observation at Oxnard Airport, Oxnard, California, located about 10 miles southeast of the accident site, reported wind 240° at 7 knots, visibility 10 statute miles, scattered clouds at 2,300 ft, temperature 19º C, dew point 13º C, and an altimeter setting of 29.89 inches of mercury. 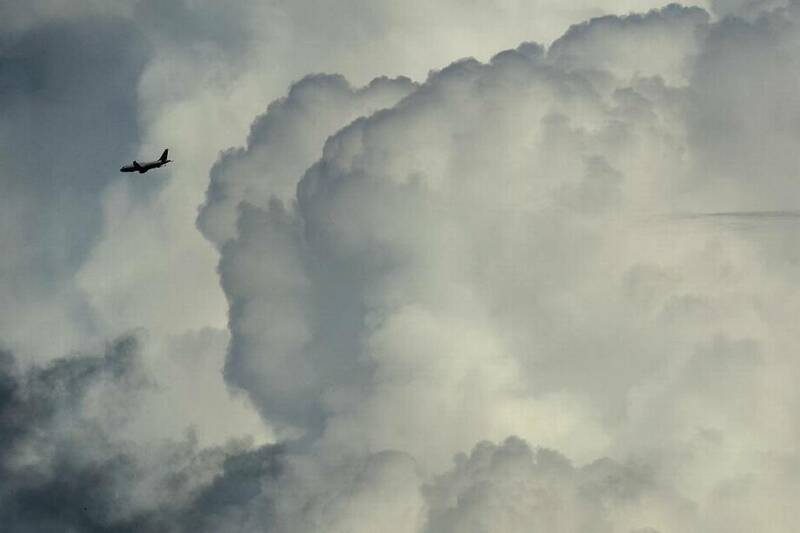 A review of the weather information revealed that no significant weather or turbulence was reported or forecast in the accident area around the time of the accident. The local weather surveillance radars for the 1 hour before and after the accident, detected no weather echoes over the area for that period. An AIRMET, valid at the time of the accident, was issued for instrument flight rules conditions along the western coast of the United States with cloud ceilings below 1,000 ft above ground level and visibility below 3 miles and mist. No AIRMET Tango advisories for turbulence, or low-level wind shear, or SIGMETS, were valid in the area at the time of the accident. The wind speed at the accident area around the time of the accident was estimated to be from the southwest between 5 and 8 knots from the surface to about 2,000 ft mean sea level (msl). However, wind modeling estimated a high probability of moderate or greater turbulence between 2,300 ft msl and 3,300 ft msl. The airplane impacted mountainous terrain, at an elevation of about 1,015 ft msl, and the debris was scattered throughout an oil field. The main wreckage was located on a mountaintop, in a cleared area where oil extraction equipment and associated facilities were located. The main wreckage consisted of the fuselage starting from the nose and ending just short of the vertical stabilizer. 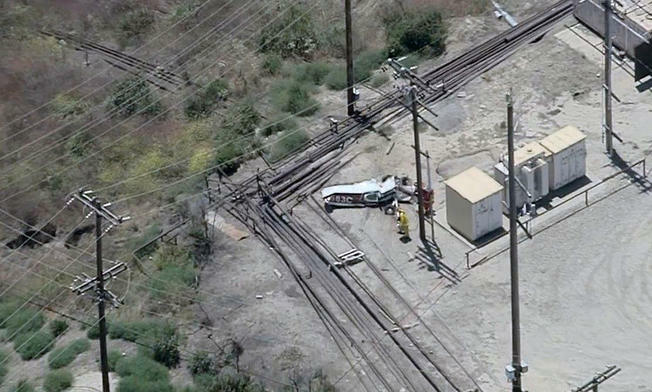 The main fuselage had come to rest upright between two parallel sets of power lines. One power line was fractured and ran underneath the fuselage. Most of the recovered debris was located within about ½ mile south of the main wreckage. Some smaller, lighter pieces of wreckage were recovered farther south. The part found farthest from the main wreckage was a section of the right wing, which was found about 1.5 miles south of the main wreckage. All major components of the airplane were recovered in the debris field. The inboard left wing was found about 295 ft southeast of the fuselage. The empennage, which had separated from the airplane as a unit and included the horizontal stabilizers, vertical stabilizer, left elevator, rudder, and tailwheel, was found about 455 ft south-southeast of the fuselage; the right wing was located about 420 ft south-southeast of the fuselage. Fragments of both wings and the engine, elevator counterweights, right elevator, and cabin door were also found along the debris path. The engine and propeller had separated from the airplane and were found embedded in an asphalt road about 510 ft southwest of the fuselage. The engine case had fractured through the engine mounts, and the engine case fractures all had a dull, grainy appearance, consistent with ductile overload. Examination of the engine revealed no evidence of any preimpact malfunctions or failures that would have precluded normal operation. No damage or paint transfer marks were observed on the wreckage, indicating that the airplane likely did not collide with a foreign object. An area of paint transfer was observed on the right side of the vertical stabilizer, that matched the color of other airplane parts, which was consistent with it being struck by these other airplane parts during the in-flight break up. Both wings separated during the in-flight break up. The forward spars of each wing were examined in detail because they are most affected by the wing bending loads. The fractures and deformations were determined to be consistent with a negative overload failure of the wings. Further fragmentation of the wings was due to abnormal aerodynamic loads. No corrosion or pre-existing cracking was observed on any of the spar fracture surfaces. Examination of the empennage revealed that the right horizontal stabilizer sustained damage and was deformed down and aft, and the leading edge was twisted down about 90°. Additionally, the right horizontal stabilizer's spars were fractured, and the upper and lower surfaces were buckled diagonally in line with the deformation. The right elevator had separated but exhibited similar downward deformation. The damage and deformation of the right stabilizer and elevator were consistent with a significant down load that exceeded the capabilities of the structures. Examination of the left horizontal stabilizer revealed that it was deformed upward about 20°. The left horizontal stabilizer's spars were fractured, and the upper and lower surfaces were buckled diagonally in line with the deformation. The left elevator remained attached, and it sustained deformation damage that was in line with the left horizonal stabilizer. Examination of the left horizontal stabilizer and elevator could not conclusively determine the cause of the damage and deformation but indicated that it likely was caused by a partial downward failure. Control continuity was established to all primary flight controls and the pitch trim. Damage noted at the wing and empennage separation points indicated that all control cables were intact before the breakup. All fractured flight control cables had a splayed, broom-strawed appearance, consistent with tension overload. The pitch trim's design enabled the entire stabilizer to be trimmed to meet different load and speed conditions. The pitch trim actuators remained installed in the tail and could be actuated normally. The pitch trim chain remained engaged with the sprockets on the lower end of the actuators. The trim wheel position for takeoff was to be at an incidence angle of -3°. Further, the cockpit pitch trim wheel was observed to be slightly forward of the takeoff position, well within the trim range indicator. The Ventura County Medical Examiner's Office, Ventura, California, conducted an autopsy on the pilot. The medical examiner determined that the cause of death was "blunt force injuries." The FAA's Bioaeronautical Sciences Research Laboratory, Oklahoma City, Oklahoma, performed toxicological testing on the pilot. Testing was negative for ethanol and all tested for drugs. An airplane performance study that was conducted using radar data that started at 1152:42. A review of the data revealed that the airplane was flying a relatively steady southwesterly (between 230° and 240°), which continued for the next 2 minutes 49 seconds. However, the airplane gained speed towards the end of the data. Starting at 1153:55, the groundspeed increased from 82 to 127 knots, in 67 seconds. The calculated calibrated airspeeds were less than the maximum structural cruising speed of 139 knots, but higher than the maneuvering speed of 106 knots. Any large control surface deflection during this time would have put the airframe at risk for structural overstress. The calculated groundspeed was consistent with flight until 1155:31, at which time the groundspeeds dropped significantly, and the calculated flight track deviated considerably. The final primary radar returns were not indicative of the continued flight path; given this evidence, the loss of groundspeed, and the debris field, they were likely radar returns from individual pieces of broken up airplane. No other radar returns were noted near the accident site. On June 1, 2017, about 1157 Pacific daylight time, a Cessna 180 airplane, N3683C, experienced an inflight break up and was destroyed when it impacted terrain about 7 miles northeast of Ventura, California. The private pilot was fatally injured. The airplane was registered to and operated by the pilot under the provisions of Title 14 Code of Federal Regulations (CFR) Part 91. Visual meteorological conditions (VMC) prevailed, and no flight plan had been filed. The local personal flight departed Santa Paula Airport (SZP), Santa Paula, California about 1110. The National Transportation Safety Board (NTSB) Investigator-in-Charge (IIC) and representatives examined the wreckage on June 2, 2017 at the accident site. The debris path was about 1½ miles in length, oriented north to south, over mountainous terrain, which included areas of dense vegetation. All major components of the airplane were identified in the debris path, except the right elevator. The fuselage, located near the top of a hill, was the first identified section of wreckage located on the debris field. The inboard left wing was located about 278 ft. southeast of the fuselage; the empennage, including the rudder and left elevator, was located about 400 ft. south-southeast of the fuselage; the right wing was located about 402 ft. south-southeast of the fuselage; and the engine and propeller were located about 499 ft. southwest of the fuselage. Additional components located along the debris path included fragments of both wings, elevator counterweights, and the cabin doors. Several witnesses located near the accident site heard a loud sound. One witness stated that prior to the loud noise, the airplane's engine sounded like it was powering up. Another witness stated that after hearing the noise, he looked up and observed the airplane spinning towards the ground, and the engine and both wings had separated from the airplane. He added that the tail section remained attached to the fuselage, when he first observed the airplane spinning to the ground. The National Transportation Safety Board released preliminary information Tuesday on two recent fatal plane crashes in Ventura County, including a June 1 accident north of Ventura that took the life of a Lake Sherwood photographer. Investigators found that Michael Brannigan's single-engine Cessna broke up in midair while he was flying over the Solimar Beach area along Highway 101, said Peter Knudson, an NTSB spokesman in Washington, D.C.
Brannigan had taken off from the Santa Paula Airport before the plane crashed in the hills northeast of Ventura, Knudson said. The June 1 crash left a debris field about a mile and a half long, Knudson said. Investigators continued Tuesday to look for more pieces of the aircraft. They also were looking for any radar data, he said. Investigators are considering numerous things, including whether there may have been some type of midair collision, Knudson said. He said it was too soon to say whether the Cessna hit something while in flight. A preliminary report on the June 1 crash as well as a second fatal plane accident east of Camarillo on Sunday is expected from the NTSB sometime next week, Knudson said. Witnesses told investigators the single-engine Piper PA-28 Cherokee had made numerous low passes over the 2700 block of Marvella Court near Moorpark before it slammed into the ground, Knudson said. "There were witnesses on the ground and one from another aircraft," he said. As with the June 1 crash, Knudson said investigators were looking at many factors that may have contributed to Sunday's crash, including whether the aircraft had any mechanical problems. 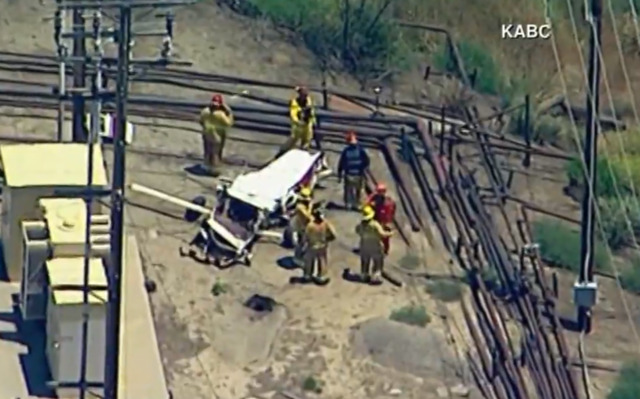 The Ventura County Medical Examiner's Office on Monday identified the pilot as James Harlan, 57, of Calabasas. Harlan's 15-year-old son, Dylan, also was killed in the crash. A June 1 plane crash in the northwest foothills of Ventura has claimed the life of a Lake Sherwood resident. On Friday, the Ventura County medical examiner’s office identified the body of a man found in the wreckage at the San Miguelito oil fields as Michael Brannigan, 52. Brannigan, a professional photographer, was the registered owner of the Cessna 180. While officials from the Federal Aviation Administration and National Transportation Safety Board did not release identifying information about the plane, its assigned registration number was visible on the body of the wreckage. 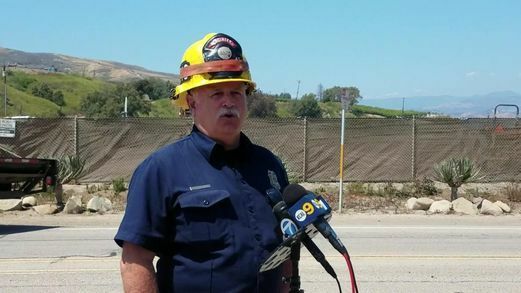 Rescue workers received word of the accident just minutes before noon on Thursday, Ventura County Fire Department spokesperson Steve Swindle said. A second caller indicated that another plane might have been involved, though the department has since ruled that out. Because of the second call, the department continued to search for a second plane but found none. Upon arriving at the crash site, firefighters found Brannigan’s body in the plane’s fuselage. “He was not only an amazing photographer, he was the kindest, most humble man I’ve ever known,” said one person on Facebook. 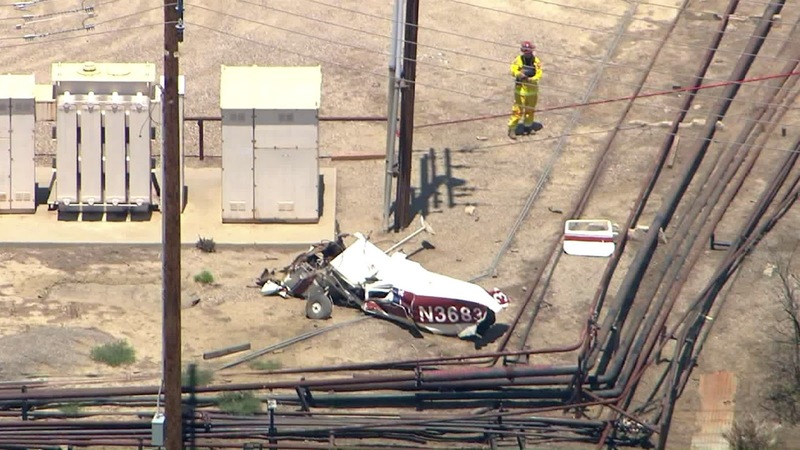 Representatives from the FAA and the NTSB had no information Thursday afternoon regarding the flight origination or destination, though an acting Camarillo Airport operations supervisor said on Friday that records indicated the plane was never stored there or at the county’s other public airport in Oxnard, leading him to believe the plane was likely housed at the private Santa Paula airport. Calls to that airport have not been returned. 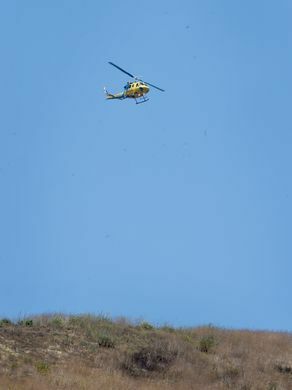 One person was killed Thursday when a small plane crashed in the hills north of Ventura, leaving authorities to sift through multiple debris fields as they tried to determine what happened. 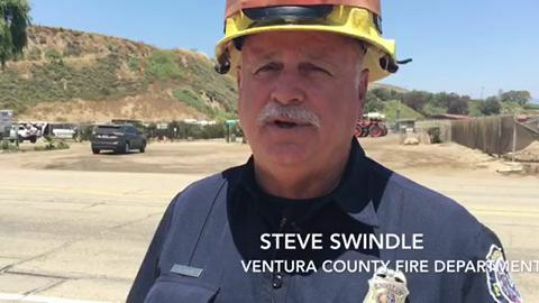 Steve Swindle, a spokesman and engineer with the Ventura County Fire Department, said crews learned about the crash from two witnesses just before noon. One of the witnesses was at Solimar Beach and the other was hiking in the hills, Swindle said in a news conference. Federal Aviation Administration spokesman Allen Kenitzer identified the crashed plane as a Cessna 180. With a single propeller engine, Cessna 180s seat four to six people and were produced from 1953 to 1981. Ventura resident Claudio Desplas said he was fishing near the entrance of Emma Wood State Beach when he saw the plane coming very low. He saw it go down in the hills and something fell behind him on the beach. Much of the wrecked fuselage was found on a privately owned oil lease a few miles north of Taylor Ranch Road with one person dead at the scene. Crews checked the debris and the surrounding area, but there were no other reports of other injuries, Swindle said. He described the area as rugged terrain in the back hills. Apparent plane debris was found across Highway 101 on the beach, posing a puzzle for investigators. Swindle said it is "highly unusual" for a crashed aircraft to leave debris in multiple places so far apart, so efforts were being made to determine whether the debris on the beach came from the same incident. "What they're doing is looking to see if we can match those parts to the aircraft that's there so we can confirm that it actually was that particular aircraft," Swindle said. Because of witness accounts, there were initial concerns of a second crashed plane. "There was a possibility — someone thought — of a midair collision," Swindle said. "However, all of our searches have confirmed we really only have one aircraft down." The FAA and National Transportation Safety Board were notified of the crash, and investigators arrived to begin their work. They offered few details due to the efforts' early stages. 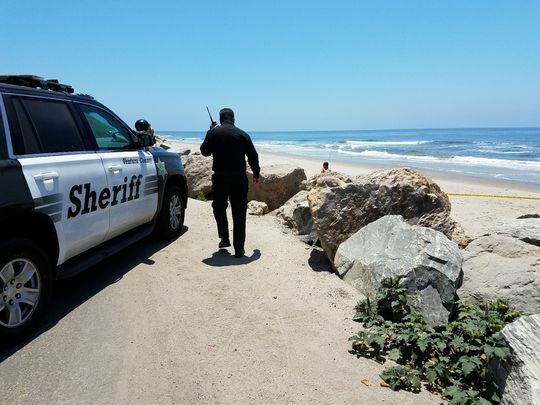 Sheriff's deputies could be seen cordoning off parts of Emma Wood State Beach. It was not known where the plane originated, where it was headed or what direction it was traveling in. Kenitzer would not provide its identification number, but a number was visible on the wreckage at the crash site. In the FAA registry, that number matched a Cessna 180 manufactured in 1954 and registered to a Thousand Oaks resident. Local officials had left the scene late Thursday afternoon and turned it over to NTSB and FAA investigators. Kenitzer said the NTSB would be leading the investigative effort. Investigators were expected to work through the night. At least one person died in a plane crash in the hills northwest of Ventura on Thursday, officials said. 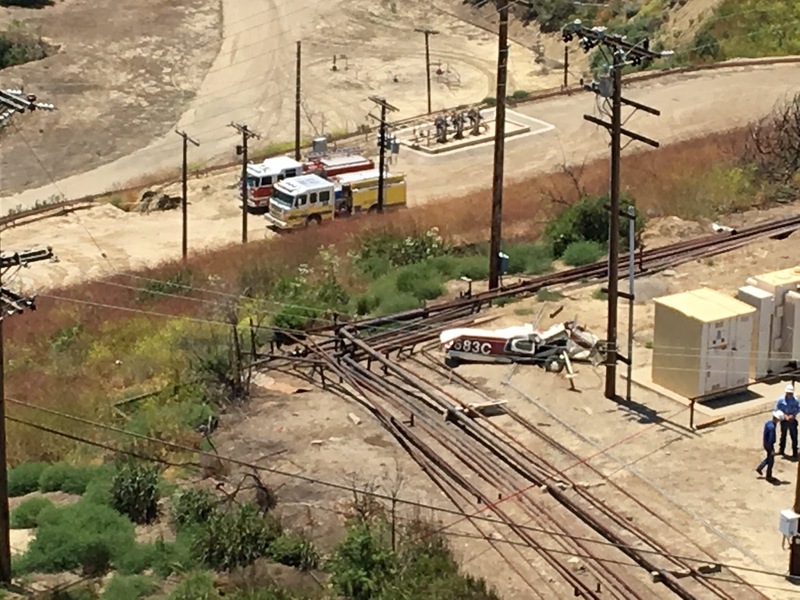 The Ventura County Fire Department received reports of a possible plane crash just before 12 p.m. 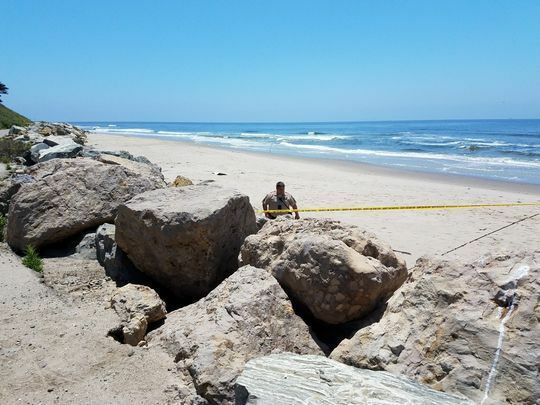 It was unknown whether the victim was male or female, according to Steve Swindle, a public information officer with the Ventura County Fire Department. The plane went down near the 101 Freeway and Taylor Ranch Road under unknown circumstances, said Allen Kenitzer, a spokesman for the Federal Aviation Administration. FAA registry information for the plane indicates it is a Cessna 180 Skywagon. The plane is registered to an owner with an address in Thousand Oaks. 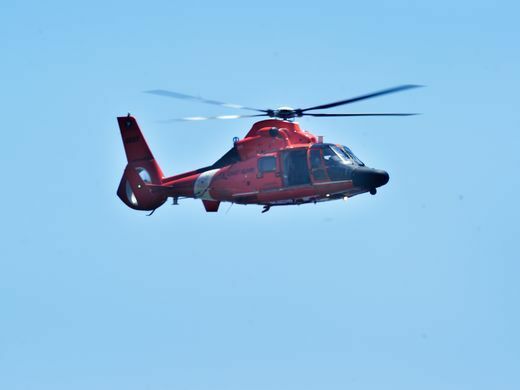 Rescue crews were searched for hours to locate a possible second aircraft in the rugged terrain based on witness reports, but by evening were refocusing their investigation on the one aircraft. 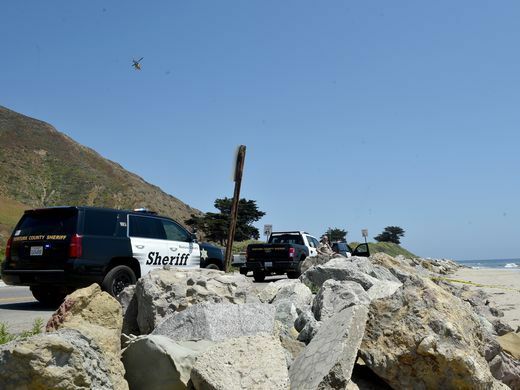 Witnesses at Solimar Beach told authorities they saw an aircraft go down behind the mountains on the coastline, Swindle said. Aerial footage from the scene showed one small aircraft that was completely destroyed. 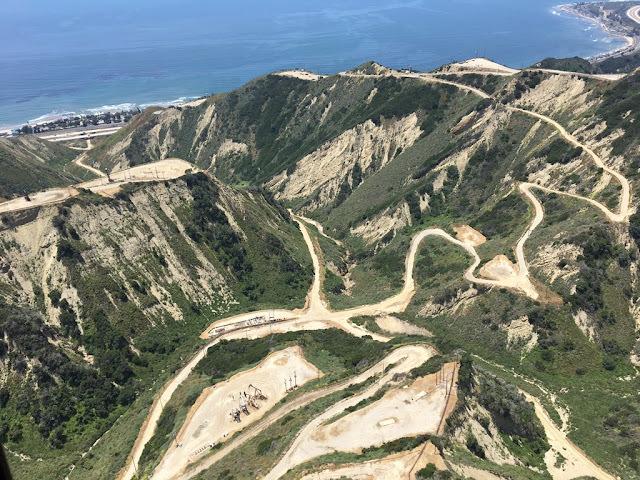 Parts of the wreckage were scattered about an industrial oil field in the hilly area above the 101 Freeway, as well as on the beach nearby, according to Swindle. 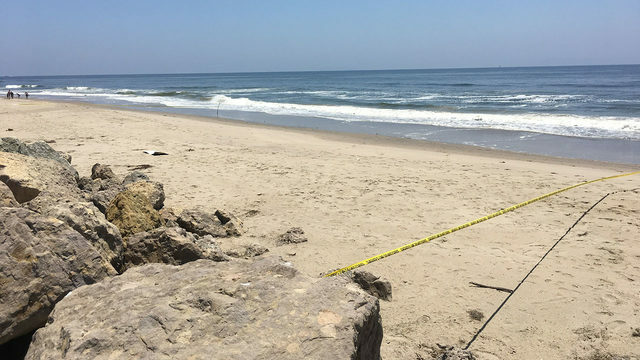 A witness who had been fishing nearby told KTLA he first saw the aircraft flying very low along the coastline before, a short time later, a piece of aluminum landed not far from where he and his wife were sitting. No structures were damaged, and no other injuries were reported. The National Transportation Safety Board and Federal Aviation Administration were investigating the incident but said it was too early to determine what led to the crash. VENTURA, Calif. (KABC) -- At least one person was killed when a small plane crashed Thursday afternoon in the hills northwest of Ventura, according to fire officials. The plane crashed north of Ventura near the 101 Freeway and Taylor Street under unknown circumstances, said Allen Kenitzer with the Federal Aviation Administration. The Ventura County Fire Department said they were looking into initial reports that a second possible aircraft was involved in the incident, but upon further investigation, they believe only one plane was involved. Witnesses reported the crash just before noon after some said they spotted parts falling off the plane and landing near them. Fire officials classified the crash as being very unusual. 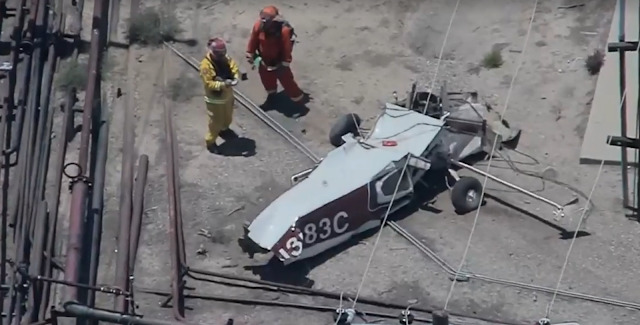 "It is highly unusual for an aircraft to be in multiple pieces this far apart...I can't confirm that it did explode - it is conjecture - but it's a little bit odd," explained Ventura County Fire Department Public Information Officer Steve Swindle. A beach area next to the 101 Freeway was closed for an unknown duration of time. VENTURA COUNTY, Calif. - The National Transportation Safety Board is investigating a plane crash in the mountainside near Solimar Beach in Ventura County that occurred just before 12 p.m. Thursday. Witnesses reported seeing pieces of the single-engine plane fall from the sky along Pacific Coast Highway at 11:58 a.m. 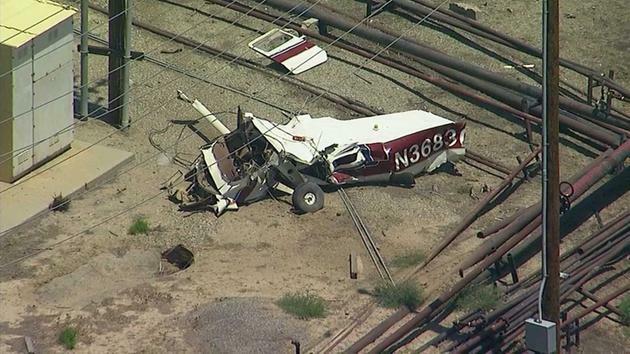 The NTSB tweeted that the aircraft was a Cessna 180. A piece of the aircraft was located on Emma Wood State Beach in Ventura County according to emergency traffic radio. 911 callers reported that parts of the aircraft also landed on their property. Ventura County firefighters have located pieces of the plane, including a fuselage, on the beach. There is one confirmed fatality according to Ventura County Fire Department spokesperson Steve Swindle. Authorities believe only the pilot was onboard the plane at the time of the crash. A cadaver dog was requested to assist with the search of a large debris field. There were unconfirmed reports that a second aircraft may have been involved in this incident and a possible mid-air collision may have occurred, but officials now believe it was only one plane that was involved in Thursday's incident. 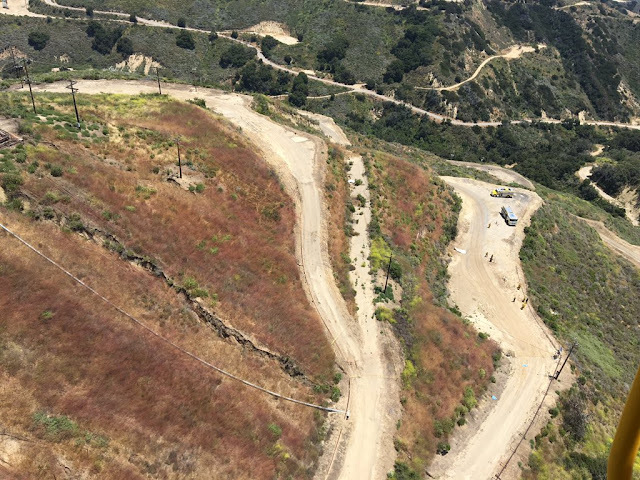 The Ventura County Fire Department said the crash site lies in a remote area north of U.S. Highway 101 and Taylor Ranch Road in private property. U.S. 101 was not impacted and the beach is active with visitors. The only areas closed off to the public are those where debris from the plane was found. No further details were immediately known. The cause of the crash is under investigation. Just before 1 p.m., officials confirmed a crash had occurred. The plane went down near the 101 Freeway and Taylor Road under unknown circumstances, said Allen Kenitzer, a spokesman for the Federal Aviation Administration. FAA registry information for the plane indicates it is a Cessna 180 Skywagon, that was manufactured in 1954. The plane is registered to an owner with an address in Thousand Oaks. Rescue crews were also working to locate a possible second aircraft in the rugged terrain. 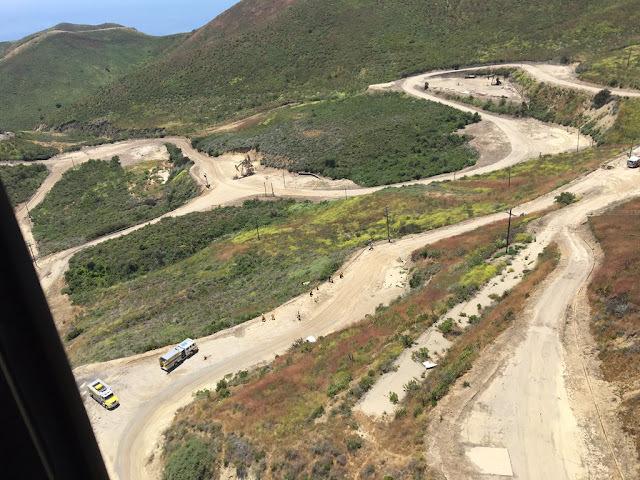 Witnesses at Solimar Beach told authorities they saw an aircraft go down behind the mountains on the coastline, according to Steve Swindle, a public information officer with the Ventura County Fire Department. Aerial footage from the scene showed one small aircraft that was completely destroyed. Many of its components appeared to have broken apart and parts were scattered about the area. The Ventura County Medical Examiner's Office has identified the pilot killed in a plane crash north of Ventura as Michael Brannigan, 52, of Lake Sherwood. Brannigan died from blunt-force injuries in the crash, the coroner's office said Friday afternoon. Records show Brannigan owned the single-engine Cessna that went down around noon Thursday in the hills east of Solimar Beach. 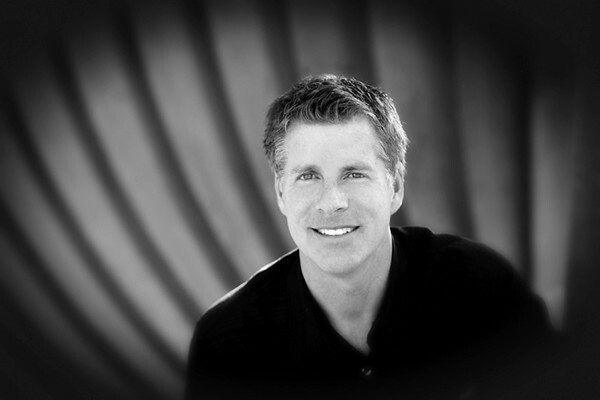 Brannigan worked as a photographer, according to his website, David Michael Photography. "I never thought that photography would become my ultimate passion and career of choice," Brannigan said on the website, noting that he discovered photography when he was 14. He became a professional at the age of 17, he said. "It always has been and forever will be my honor to tell your story, become part of your family, and capture the priceless, beautiful moments of your life events through photography," he stated on the site. The wrecked fuselage from Brannigan's plane was found a few miles north of Taylor Ranch Road on privately owned property. 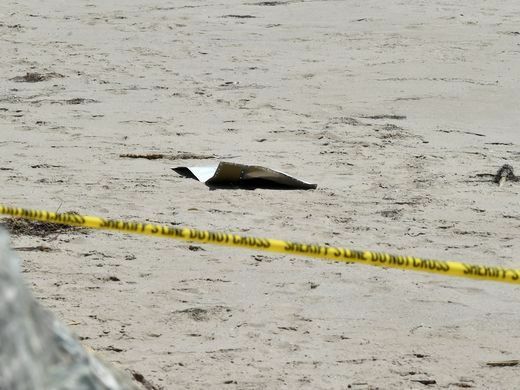 But debris, which investigators suspect was from a plane, was found on a nearby beach. Debris was also found near the city limits of Ventura. The crash is being investigated by the National Transportation Safety Board. National Transportation Safety Board investigators responded to the scene of a fatal plane crash in Ventura County Thursday afternoon. A single-engine aircraft crashed in the area of Taylor Ranch, which is north of Highway 101 and west of Highway 33, near the city of Ventura. Ventura County Fire Department authorities confirmed one fatality and said no other injuries were reported. Emergency crews also responded to Solimar Beach, where some of the plane’s wreckage reportedly fell. 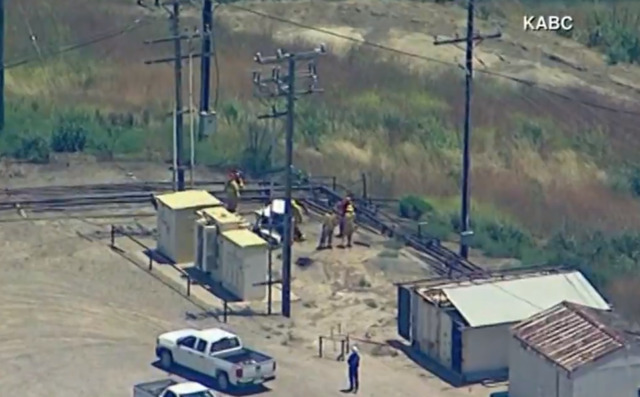 It was not known specifically what kind of plane was involved in the crash, which occurred shortly before noon, according to the Ventura County Fire Department. There were initial reports that a second aircraft might have been involved, but authorities later confirmed a single aircraft involved in the incident. The NTSB crash investigation was expected to last throughout the night, Ventura County officials said Thursday afternoon. When Natalie Rutzell heard Charlotte Douglas International Airport was creating a roundtable to find solutions to aircraft noise, she was pleased. She hoped the group would force the airport, the Federal Aviation Administration and American Airlines to disperse departures over a wider area, so her neighborhood, The Sanctuary, wouldn’t be blanketed with noise. The roundtable will have 23 members, including representatives from areas that have little or no airport noise, such as Mint Hill, Matthews and east Charlotte. With committee members set aside for those areas, Rutzell and others are worried that she and her neighbors won’t have much of a voice on the new group, which plans to hold its first meeting next week. “Our chances of being represented seem small,” said Rutzell, whose neighborhood on Lake Wylie is in the flight path of many southbound departures. Dave Chavoustie, another Sanctuary activist who has been lobbying the airport to disperse departures, agrees. He said neither he nor any of his friends and neighbors have been contacted to be on the roundtable, despite the airport telling him that areas like The Sanctuary and Chapel Cove lodge more complaints than any other area. “They were rejected by the committee,” he said. Aviation Director Brent Cagle said the new roundtable will intentionally draw representatives from a wide area, in part because any changes to flight paths that result from their work will shift noise to areas that don’t currently get much. And though the airport often fields the brunt of complaints from residents about noise, it’s the federal government that sets the flight routes and determines where pilots fly. Although airplanes are usually higher up when they fly over further-out areas, Cagle said Charlotte Douglas receives complaints from all over, not just neighborhoods directly north and south of the runways. “This is an issue that affects literally the entire area,” said Cagle. As Charlotte Douglas has grown into the world’s fifth-busiest airport based on arrivals and departures, residents north and south of the airport have felt much of the impact. More than 700 flights a day depart Charlotte Douglas, headed to 165 nonstop destinations. The FAA recently began implementing technology nationwide that allows air traffic controllers to keep planes closer together on narrow paths, or “rails.” The FAA said the program, called NextGen, is more efficient and saves fuel. But in Charlotte, former mayor Anthony Foxx and the City Council asked the FAA to reverse that. Instead of placing planes on narrow paths, they asked the federal government to disperse departures over a wider area. Their logic: More people might be exposed to noise, but fewer homeowners would be impacted repeatedly. Chavoustie said that’s a good approach. But he said when the airport gets busy, air traffic controllers revert to sending departures over the same path. That’s right over his house, he said. Charlotte Douglas said the roundtable’s goal is to developer “technical recommendations rather than providing a general public discussion forum.” The airport said the FAA, airlines and the airport will advise the group. ▪ A member from each of the City Council’s seven districts. ▪ A member from each of Mecklenburg County’s six commission districts. ▪ A member from each of the county’s seven cities and towns: Charlotte, Cornelius, Davidson, Huntersville, Matthews, Mint Hill and Pineville. But Cagle said the airport is still seeking applicants from the towns, and only has members from Charlotte and Huntersville so far. ▪ A member each from Mecklenburg, Gaston and York counties. But a U.S. Department of Transportation map modeling noise shows that many of those areas, or towns, are impacted little or at all by aircraft noise. For instance, City Council District 1 is in uptown, Plaza-Midwood and Myers Park – areas directly east of Charlotte Douglas and out of the airport’s primary north-south operations. The same goes for District 5 in east Charlotte along Albemarle Road and much of District 4 near University City. Matthews and Mint Hill are also impacted far less by aircraft noise. But Cagle said that depending on flight paths, noise complaints vary. When airplanes approach the airport’s crosswind runway, they fly roughly southwest along Interstate 85. That generates a lot of complaints from other parts of the city. And Cagle said that as long as residential growth continues in Charlotte, especially in booming areas like Steele Creek, more people will hear planes. The airport’s long-range plan calls for the crosswind runway to be closed, possibly next decade, when a fourth parallel runway opens.